As life expectancy is going up in the country, there is a proportionate rise in diseases and medical problems associated with old age. The changed, and sometimes morphed, lifestyles are also leading to an increase in these problems and the foremost among them is joint pain. The number of knee replacements that took place in the country in 2017 stood at around 1.5 lakh, up from about 80,000 in 2007. If the number of hip, back and shoulder joint operations is added to this figure, the total number of joint surgeries would become staggering. The number of elderly who continue to live with Arthritis, osteoarthritis and other joint pain, either because of lack of awareness of the treatment options or because of general fear of surgery which is rampant in the country, is several times of the number of people who opt for surgery, to say the least. While total or partial replacement of the worn-out joint was the only option for people suffering from joint pain up until few years ago, there are new breakthroughs in medical science to tackle the problem which are not only effective but also effectively obviate the complications associated with joint replacement surgery. Now, instead of replacement, patients can opt for regeneration which uses the properties of the patients own body to heal injuries and cure back ache, arthritis and hip pain etc. 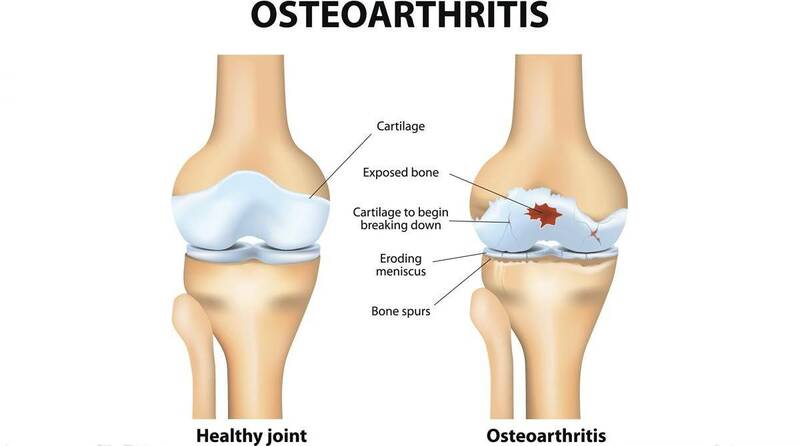 Arthritis, osteoarthritis and pain in joints such as back, knees, hips, shoulders and various other body parts are a result of inflammation amidst joints. This results in wear and tear of the cartilage further resulting in its break down, leading to more pain. While surgery is a procedure whereby the damaged bone and cartilage is cut away and an artificial joint is inserted which is typically made of metal alloys, plastic and polymers, new-age tested therapies like platelet- rich plasma (PRP) and stem-cell are making use of the patients own stem cells to initiate repair, stimulate regenerative properties and reduce inflammation of damaged tissue in case of injury, disease or any other health-related conditions. When the human body has a limited reserve, it tends to lose its ability to regenerate healthy cells and cause the recovery process to get limited in various ways. Under these new age therapies, a few cells from the body of the patient is taken and then cultivated to be later re-injected into the body in a higher volume to replenish and boost your body’s reserve. By helping the body to repair and regenerate cells and reduce inflammation, the ability to recover from various existing inflammatory conditions goes up considerably. This also takes care of some of the problems associated with surgery like reaction to the metal used in the artificial joint. Some people are also prone to vein thrombosis or blood clots after surgery. Since Stem Cell therapy uses patient’s own body’s resources and no new object or material is inserted, the chances of reaction to anything new is done away with. For people who have knee arthritis, the most invasive treatment is total knee replacement, Doctors are also testing other injectable therapies, including platelet-rich plasma, hyaluronic acid, and steroids. Consumers who decide to try stem cell treatments for achy knees should research their doctor and the specifics on the stem cell treatment. It’s crucial to ask the clinic where the stem cells come from, Ask if they will retrieve them from your own bone marrow or fat tissue, or if they will come from donors. Donor cells and tissues to be tested for communicable diseases. There is no consensus on which source is best, but most doctors use stem cells from fat or PRP. There is a long recuperation period in case of joint surgery which is also associated with unbearable pain. There is a complete rehabilitation process involving physiotherapy, massaging, training, application of heating pads and maintaining a certain diet curriculum. In Stem Cell Therapy, there is no such requirement and the diet curriculum is fairly simple. There have been astounding results, both in India and the Western world, of this therapy and more and more people are showing inclination and getting benefited. Stem Cell Therapy is increasingly being recognised as a mainstream medical practice around the globe.